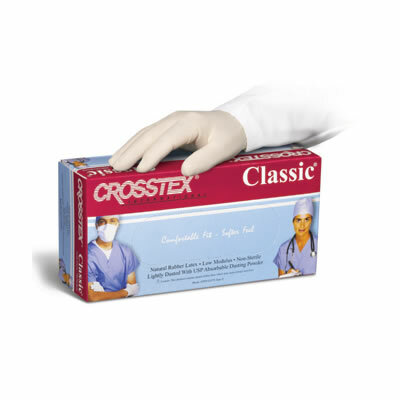 Classic Gloves from Crosstex are ambidextrous latex exam gloves that are lightly powdered with a smooth, bisque-finish. Classic Gloves are made with allotex-latex with low antigenic protein. A low modulus ensures enhanced comfort as well. Gloves are available in small, medium, and large.